Did you know that you can now buy American Girl Mega Bloks building sets? I had no idea! 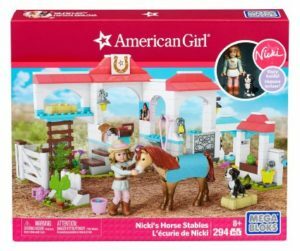 On Amazon right now you can get this fun Mega Bloks American Girl Nicki’s Horse Stables Construction Set for only $23.99 – a 20% savings! 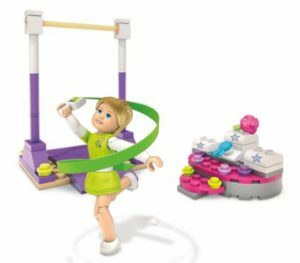 You can also get this popular Mega Bloks American Girl Mckenna’s Gymnastic Training Set for just $7.99 – a 33% savings! There are many items on sale. These will ship free with Amazon Prime or qualify for free Super Saver Shipping with a $49 purchase.